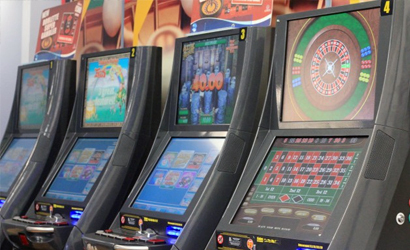 Fixed-odds betting terminals (FOBTs)have been described as the crack cocaine of gambling. Available to play in bookmakers, it is possible to lose thousands of pounds in a few minutes on them. Their numbers have dramatically increased over the last few years and they are giving considerable cause for concern. Today Labour will use an opposition day debate in the Commons later today to press the coalition government for action to limit their devastating impact. Danny Webster, the Evangelical Alliance’s Advocacy Programme Manager writes on the issues affecting this debate. He has researched the subject in detail and written on it in the past. He has also lobbied in parliament and briefs MPs on the effects of FOBTs. Danny tweets at @danny_webster. Betting shops are normal on our high street, like coffee chains there seems an uneconomically short distance between each outlet belonging to the same brand. Why have three shops from the same chain within walking distance? Because that lets them have another four machines which are the cash cow of their profit margins and also the form of gambling most closely associated with problem gambling. The problem of fixed odds betting terminals, as these machines are known, or B2 machines as they are technically classed, has crept into public awareness led by the unmissable presence of shops on high streets. As betting shops started earning more than half their turnover through machines the idea traditional over the counter gambling was the reason for betting shops’ expansion faded and politicians started to hear the stories of harm caused by people gambling and losing vast sums of money on the machines often dubbed the crack cocaine of gambling. The Labour Party are calling for local authorities to have more powers to restrict the spread of betting shops, and the Liberal Democrats passed a motion at their conference to similar affect. The Government have acknowledged the concern but have refused to take action, insisting their policy must be guided by evidence which they hope will be provided by research currently underway. Some history: before the 2005 Gambling Act new betting shops were subject to a demand test: was their demand in a local area for a new betting shop. The 2005 Act which liberalised many areas of gambling removed this test and went further, local authorities who were given the licensing powers for betting premises are now not allowed to base a decision on whether there is not demand. They have a presumption to permit new premises unless they breach tightly drawn conditions which make it hard to turn down applications even when the council and local residents don’t want them. The proposal Labour are bringing before the House of Commons in their opposition debate is a good but limited measure. Councils who do not want more betting shops in their communities should have the power to turn them down. But it is not enough. The problem is not the shops in themselves, and concerns about expansion are not primarily about the aesthetics of the High Street, instead the worry is the machines inside which let you feed in £100 every twenty seconds. The Gambling Commission question whether it is physically possible to lose the £18 000 in an hour which theoretically is the case. Probably only about £6 000. Well that’s okay then. No. Anything but. Problem gamblers, like people with many different addictions, develop their compulsive behaviour through multiple factors and it would be wrong to place all the blame at any single product or remove personal responsibility. Surveys of gambling participation and the prevalence of problem gambling show problem gamblers use multiple forms of gambling. In a recent review of all prizes and stakes for all types of betting machines the government left any decision about FOBTs firmly on the shelf, they saw the concern and refused to act, they refused to take the precautionary approach the gambling regime was supposedly premised on. They did nothing but hope evidence would answer the question for them. Providing a safe gambling environment means addressing problems, and a precautionary approach means being on the side of those who may be harmed, not those who are profiting. Fixed odds betting terminals are not innocent. They are not neutral bystanders to individuals with an addiction looking for any outlet. Some forms of gambling are more used by those with problems, and some forms of gambling derive a higher proportion of their revenue from problem gamblers. And FOBTs are firmly in the dock in this regard. They are among those frequently used by problem gamblers and 23 per cent of the money spent is from problem gamblers, that’s £300 million each year out of the pocket of those with problems. These machines are culpable and the purveyors of their services have a responsibility. FOBTs are frequently cited by those attending a clinic for problem gamblers, anecdotally suggested as between 50 and 70 per cent of users. So why are the government waiting for more evidence? That little thing called causation. While the evidence points to a strong association between fixed odds betting terminals and problem gambling it does not prove that one leads to the other, and that millimetre of wriggle room gives enough space for the government to duck taking action. They commission a study through the Responsible Gambling Trust (funded by the gambling industry) costing half a million pounds to investigate these machines and to work with the industry to find out what goes on inside these machines. The scoping study has reported and suggests that grand policy outcomes won’t be provided, the machines are, somewhat surprisingly, less sophisticated in tracking player behaviour so it won’t easily answer questions about how to adjust the games to make them safer. What is needed is leadership. I would like to know beyond doubt what causes problem gambling, but that evidence is unlikely to be provided soon, in the interim action is essential. The government must recognise gambling can cause serious harm; and in the face of the poverty it can cause, the family breakdown, the lives ruined, all politicians must pay attention. As Labour suggest, betting shops should be in their own use class, councils should be given greater powers to turn down applications, especially in areas of high density, but more is needed too. The machines are an anomaly with their £100 stake, this should be drastically slashed, and the whole regulatory regime that places the machines most associated with problems the most easily accessibly must change. We permit gambling in this country, it is a legal activity, but that does not give us a duty to stand by while it causes grave harm. We must not be blind to the damage it does, we must demand political leadership prepared to stand up to the gambling industry with obvious economic interests in the continuation of the profit maximising status quo. ‹ How much aid did the UK government give to countries where Christians are persecuted in 2013? The gambling lobby aren’t likely to give up their cash cows easily. Pressure definitely needs applying. Hoping politicians will see sense on this. I agree. I don’t really understand the government’s position on this. Obviously there’s money at stake… But I can’t imagine there’s enough public support for these machines to make government action against them politically difficult. Labour and Lib Dems are both obviously against them. I’d be surprised to find many Conservatives who didn’t actually have a financial stake in the current regime willing to put up much of a defence of them. So why can’t we get on and do it? I would have thought this would be a vote winner. It’s reasonable for them to wait until the report is out, but there is no excuse after that.